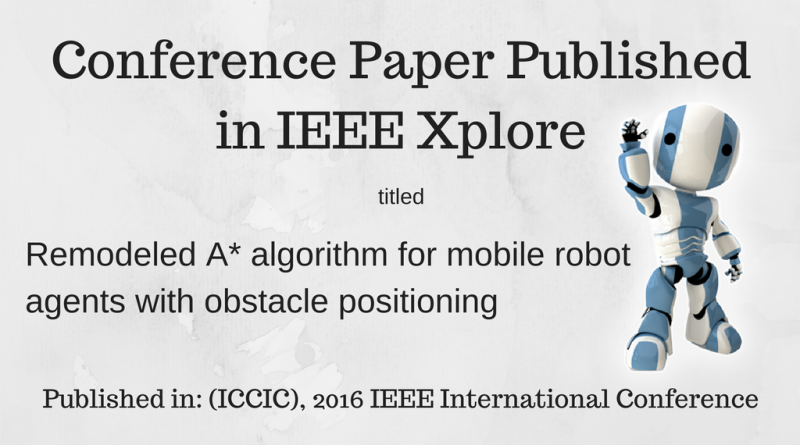 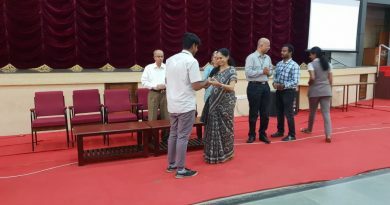 A research paper titled “Remodeled A* algorithm for mobile robot agents with obstacle positioning” authored by Jasna S. B., Assistant Professor of Electrical and Electronics Engineering, jointly with P. Supriya and T. N. P. Nambiar, and published in the Proceedings of 2016 IEEE International Conference on Computational Intelligence and Computing Research (ICCIC), has been added to IEEE Xplore on 08 May 2017. 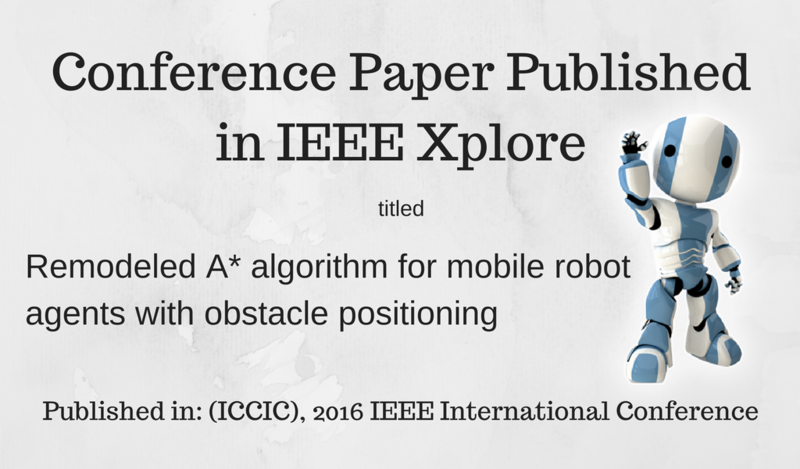 The same can be accessed at http://ieeexplore.ieee.org/document/7919535/. 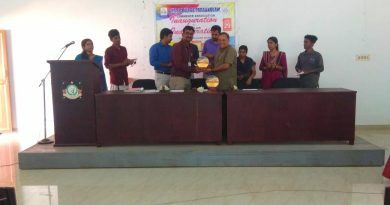 The Conference was held in Agni College of Technology, Chennai, during 15 – 17 Dec 2016.